Painting contractor in Lake County, IL provides spectacular residential and commercial services including interior and exterior painting services at affordable rates for any budget. 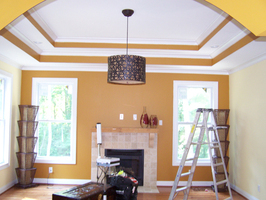 We consider ourselves that kind of painting service. For over ten years, we’ve been helping the residents and business owners of the greater Chicago area complete their painting projects with seamless ease and efficiency. Our knowledgeable and friendly staff will work with you to guarantee your complete 100% satisfaction with our painting services. In celebration of our Tenth year serving Lake County and the greater Chicago community.Here at MQ Painting, we know how important it is for you to be able to trust those you allow in your home. For this reason, all of our team members are background checked to ensure we maintain integrity in your home. 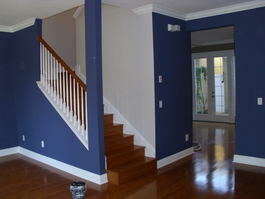 We strive to provide an all-around seamless experience while painting in and around your home. With our warranties, you will be ensured long-lasting protection for your project! MQ Painting provides interior painting & exterior painting in Lake County, Cook County, Mcherny County, DeKalb County and all Chicago Land. Why not call MQ Painting at (847) 912-3379 today for a free estimate? Let us show you how we can transform your ordinary home into something spectacular!